It's hard to believe, but Drew will be starting third grade this year! When it comes to back to school shopping, we are always on the lookout for the back to school deals, especially for clothing. 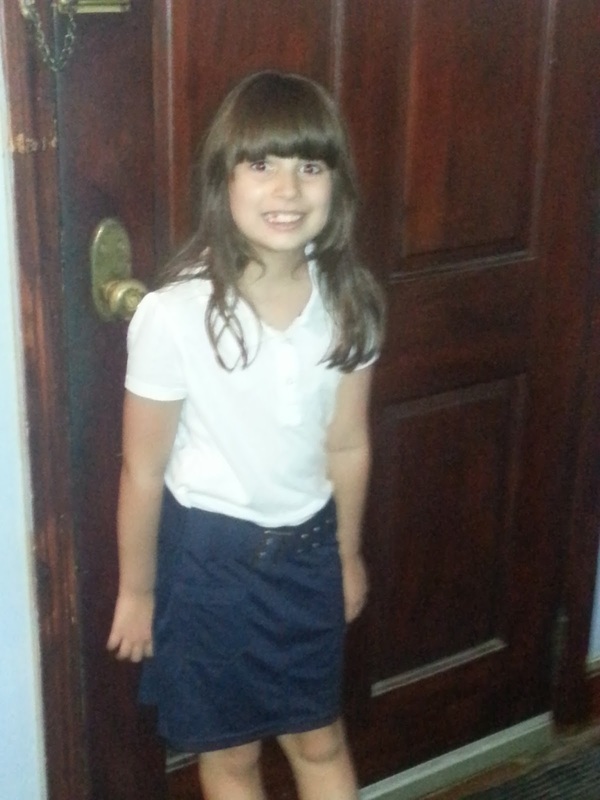 Drew has quite a sense of style, but all of the schools here require students to wear uniforms. It's a difficult task to wear a uniform and be stylish, but with French Toast brand uniforms, it is absolutely possible. We've connected with French Toast (again) this year because we absolutely love the brand and know our readers will too. Since Drew started school, we have preferred French Toast over any other uniform brand. The quality is top-notch and the prices are phenomenal. Now that Drew is a little older, she really appreciates the style choices offered by French Toast. 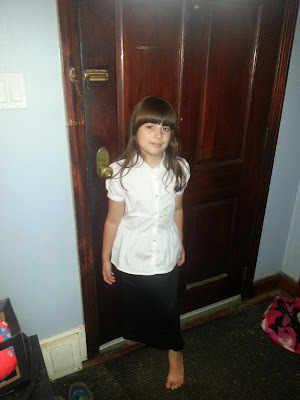 I LOVE the Long Skirt with Back Panel (in Black) and the Short Sleeve Gather Front Blouse (in white) Together. How Sweet is This Belted Polo Dress? And Drew's Favorite is the Bow Belted Jumper (in Khaki) Side Note: Looks Like Mommy Needs to Find the Iron! French Toast has a great selection for boys as well. My oldest nephew is also required to wear a uniform to school and I'm excited to share the online catalog with my sister so that she can find some great school clothing at an awesome price! 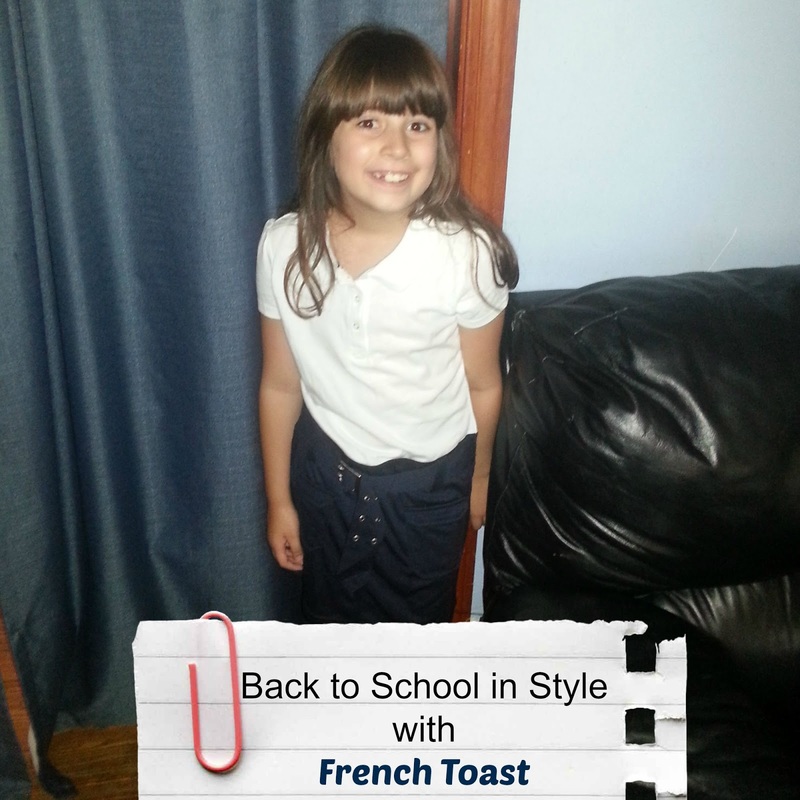 If you are looking to send your kids back to school in style without having to spend a small fortune, then French Toast has exactly what you need! 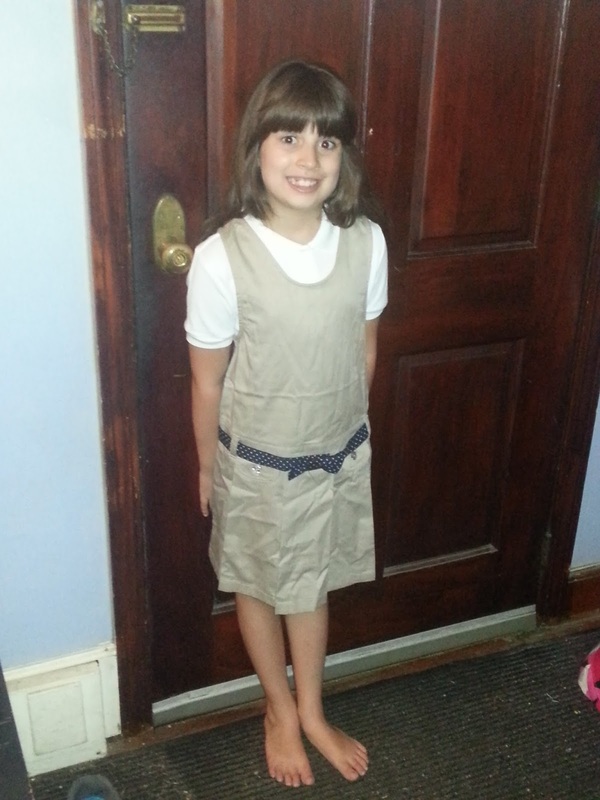 Their collection of school uniforms includes everything from long and short sleeve knits and polos, to shorts, capris, pants, and jumpers & dresses in a variety of sizes including toddler, juniors, young men's, slim, and more! Don't forget to check out their selection of activewear for gym days and outerwear for the days the weather is less than pleasant. Be sure to connect with French Toast on Instagram, Twitter, and Facebook! 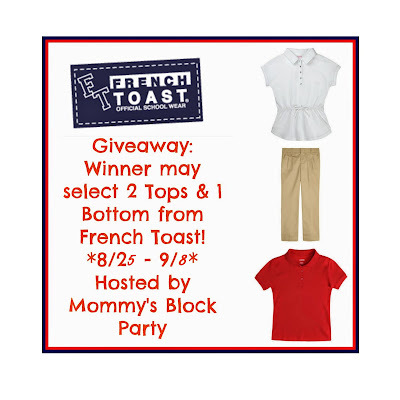 Our awesome friends at French Toast are sponsoring a giveaway for MBP readers and you could win your choice of 2 tops and 1 bottom! This giveaway is open to US residents ages 18+. Enter for your chance to win by simply using the RC form below. Mommy's Block Party is not responsible for prize fulfillment. She'd like the Anti-Pill Crew Neck Cardigan Sweater.